Stan Wawrinka insists he is more concerned about rehabilitating his left knee, following two surgeries, and getting back to full fitness, than looking for a new coach at present. The 32-year-old Swiss star parted company with his coach of four years, Magnus Norman, in late October 2017, but continues to work with Yannick Fattebert, who has been part of his team for the past five years. 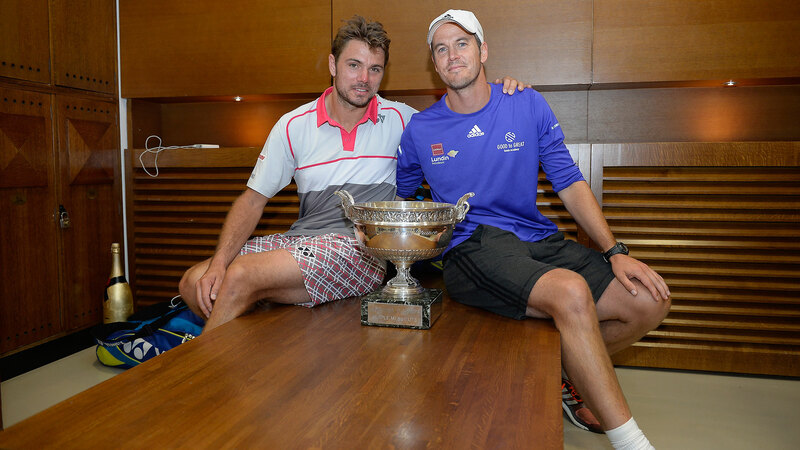 Wawrinka paid tribute to Norman, a former World No. 2 and 2000 Roland Garros finalist, in the build-up to the Australian Open, saying, “He was my coach, but he was a friend, even closer than a friend. It was tough to know that he will not be here to start again with me. “At the end of the day, I will always be grateful for all the work we’ve done together the past many years, winning Grand Slam with him. That’s what I want to keep from our relationship. Norman began to coach Wawrinka in April 2013, when Wawrinka was No. 17 in the ATP Rankings. The Swede helped Wawrinka to a 12-5 record in finals, including the 2014 Australian Open (d. Nadal), 2015 Roland Garros (d. Djokovic) and 2016 US Open (d. Djokovic) crown, plus one ATP World Tour Masters 1000 title at 2014 Monte-Carlo (d. Federer).